Welcome to Canberra Dental Care - dentistry to smile about! Our dedicated team of dental nurses are here to assist the dentists in ensuring your treatment runs as smooth as possible. Not only do they assist in the surgery but they are responsible for the sterilisation of all equipment. We are so proud of their commitment to sterilisation we have put it on show. As you walk to the surgery for your treatment you are able to see into the sterilisation area. 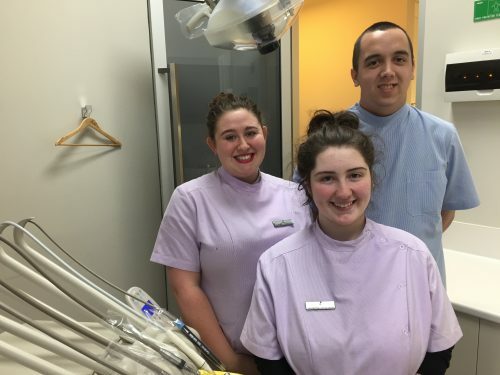 Claire, Jasmine and Owen are highly trained to deliver a a quality service to the dentist and to you.